You might not consider that a physician can make a mistake when searching for a job, but they certainly can. This is particularly true for the new physician fresh out of residency training. Even doctors have concerns about starting their first professional role, including the all-too-common fears the rest of us have. 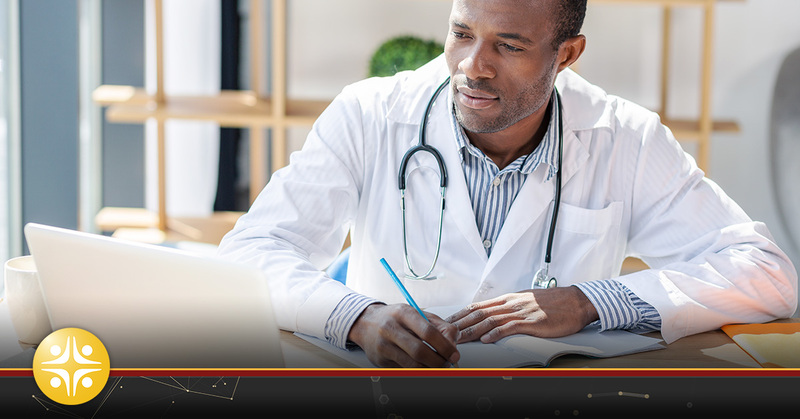 From the challenges of job hunting, to acing the actual interview, physicians can have a surprising amount of anxiety about the job-hunting process. Here are some suggestions to help alleviate these uncertainties. It’s important to consider that looking at an academic posting can be different from other types of positions for the candidate-doctor. It’s important to note that each teaching hospital is slightly different, and your residency experience may not have prepared you for the particular setting you’re stepping into. For example, not all academic medical centers conduct research and not all doctors at these facilities teach. In fact, many of these roles function similarly to private practice. Knowing what to negotiate is also an area where mistakes can happen. Negotiating a salary is one thing, but vacation days and other benefits should also be on the table. Make certain to spell out on-call responsibilities and understand any limitations on growing your practices. If you’re joining a hospital-owned medical practice network, will you be shipped to a satellite facility where the volume is low? Will you also have the opportunity to meet the team you will be working with before deciding? While the expectation may be set in a medical school that you will work a four-day week and make a mint, these terms are always subject to the specialty area and type of facility you’re applying to. For example, doctors working in an FQHC environment have a great deal of job satisfaction, but less financial remuneration. Finally, give some thought to how quickly you will really be able to ramp up. Chances are you’ll imagine getting up to speed much more quickly than what happens on the job. There may be a learning curve on a new EMR platform, and certainly learning new protocols will take time. But even the small things, such as knowing the right garage to park in, finding the fastest route between wings, etc., could cause a workflow to slow down. Be patient with your learning curve; it could take years for you to feel completely comfortable in the role. It’s important to note that when you begin your search for a new position out of your residency or fellowship, the process will be different than when you searched for a residency program. In those situations, you were hoping to be picked out of many applicants. You were eager to do whatever it took to make it into the ranks of the chosen. This is not the case when deciding where you want to practice in the future. The tables have turned. You decide if this next job is a place you can see yourself fitting in for the long term. Now YOU are the one who is screening them. Clinicians seeking a new venture should consider working closely with a recruiter, whether their experience is post-residency or near-retirement. The talent professionals at MedSource Consultants are competent, experienced resources clinicians can use to their full advantage. We work with some of the biggest names in the healthcare industry, from NYU Langone Health, Yale New Haven Health, and Duke LifePoint Healthcare, to RWJ Barnabas Health and Rutgers. Talk with our team about the ins and outs of a job search. We can help you avoid costly mistakes while mapping out the requirements for your next successful move.